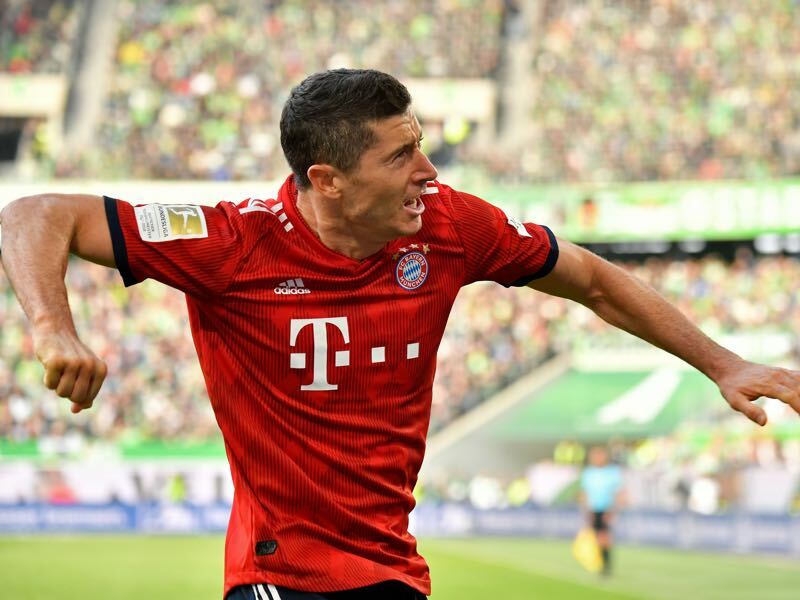 Bayern München are back on track after ending their three-game winless streak in the Bundesliga with a convincing 3-1 victory over VfL Wolfsburg. Nonetheless, VfL Wolfsburg v Bayern München was very much in the shadow of Bayern’s Friday afternoon press conference in which the bosses, President Uli Hoeneß and CEO Karl-Heinz Rummenigge, attacked the media for what they deemed unfair reporting about the club. The press conference received a widely negative echo in the press and while designed to take the pressure of the players the press conference will without a doubt produce another media barrage should Bayern lose any of their upcoming games. The short answer is with a resounding win against Wolfsburg. Bayern were dominant on the pitch against a hapless Wolfsburg side that even with an extra man for the last 30 minutes were unable to challenge the Bavarians. “It was a brilliant sign that the bosses are protecting the players. You have more of a feeling of togetherness,” Joshua Kimmich told Sky Germany after the match. “Of course, one notices that many talk about Bayern when things are not going well. I think, for us, it was important to say: we will let no-one close to us, we stay together and protect each other,” Kimmich added. “I want to congratulate the team. Everybody gave it all. The team played very well, and we never were under thread. We also had many good opportunities. The victory was well deserved,” Bayern head coach Niko Kovac told the media after the game. Overall, Bayern followed the press conference with a resounding victory on the pitch. For now, that should quell any media criticism but the sharks have now smelled blood in the water, and the first Bayern defeat will once again bring back the crisis in full force. “[Lewandowski] has demonstrated on countless occasions that he is ice-cold in front of goal,” Kovac said to the media after the game. The problem, however, has been that Lewandowski failed to score in the last three competitive matches for Bayern – an eternity for the striker – in a spell, in which Bayern failed to win a game. Thankfully, for Bayern, that goalscoring drought is now over. The 30-year-old was excellent scoring two goals and assisting the final goal of the match scored by Colombian playmaker James Rodríguez. The goals put a smile on the faces of the Bayern bosses and the striker but also highlight that der Rekordmeister is very much dependent on the Polish forward. 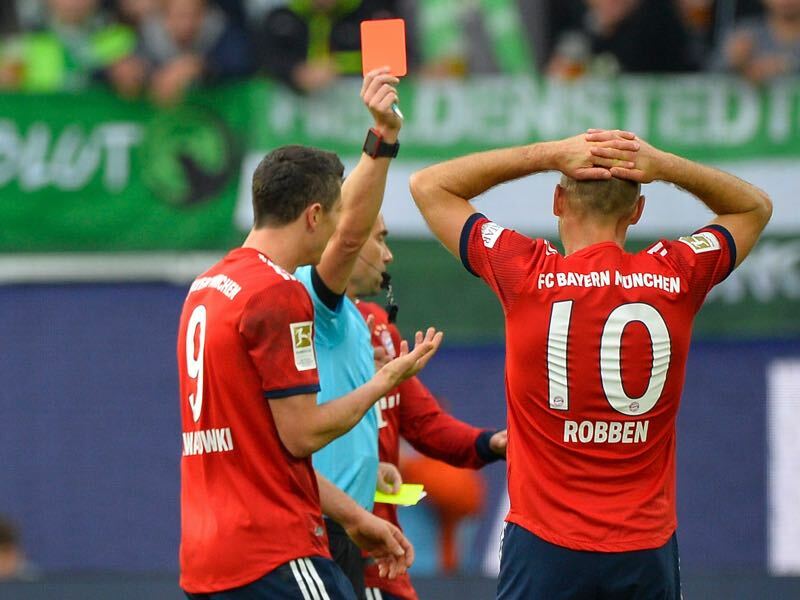 Arjen Robben was sent off in the 57′ minute after receiving a second yellow card for what seemed like a soft challenge. “I have no blame for Arjen. The first yellow should not have been given,” Kovac said after the match. Robben received the first yellow card for a dive. In the 44′ minute Robben ran into Maximilian Arnold and theatrically went to the ground. Although not a classic dive Robben certainly over-indulged and Guido Winkelmann was right to show the Dutch winger the yellow card. The second yellow card, in the meantime, seemed harsher. Robben came in a little late to challenge Elvis Rexhbecaj bringing down the Wolfsburg midfielder. It was a silly challenge and while a yellow card was harsh on that occasion the decision was understandable and, therefore, overall Kovac’s assessment that Robben did not deserve to be sent off was wrong.